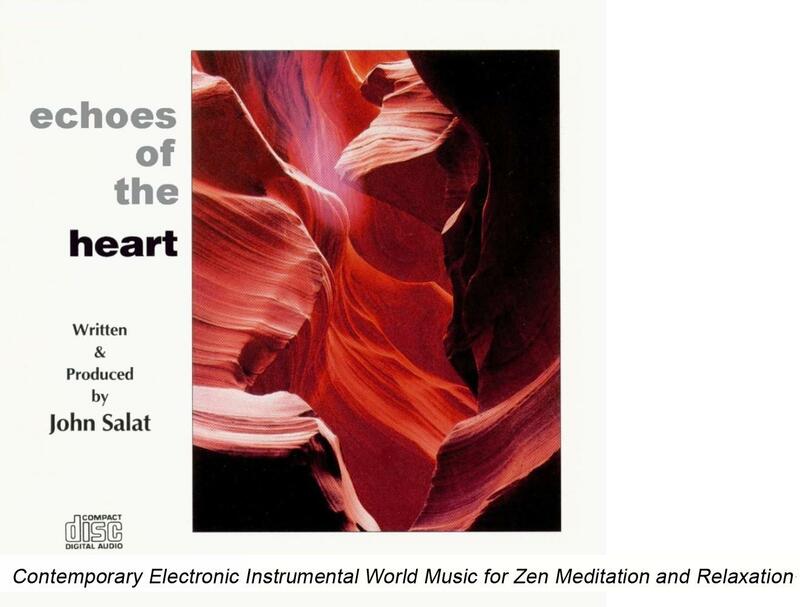 "Echoes of the Heart" is an inventive contemporary instrumental recording of electronic world music. The Relaxing yet sophisticated sounds stirs the imagination for listeners thereby blending in any environment of work, home or travels in the car for a Zen tranquil moment. Over 500 radio stations played "Echoes of the Heart"
rated at the top "Most Frequent Played Album"
-- KDOC-TV, Channel 56, "SOUTH LAND TODAY"
John Salat, who besides being a musician and composer is also an licensed architect, which seems to show through in his exquisite sonic constructions and his minuets to detail. He refers to himself as an architect of music with fund of short burst of sound, using a sparkling quality range from mystical to effervescent. “By using music to implement space, I can create sounds which are visual palettes of color, taking listeners on a global journey to evoke inspiration and peace. An experience I call, ‘Echoes of the Heart,'” concludes Salat. "When I'm in the studio writing music, I visualize myself standing underneath a waterfall,” Says John." Whether being a published musician or architect, Salat turns his boundless ener gies to composing musical streams of consciousness. The peaceful mood through these mediums builds sculpture with a rich myriad of emotions. Mixing these moods of rhythms contains a consistent tonal imagery of lush landscape; a spirit of visual and audio massage. His exploration from the album “Echoes of the Heart” combines ancient instrumentation with modern-day digital technology. The resulting 60 minute soundscape is a panoramic vista blending African Amazonian and Far Eastern with aural punctuation to add a topspin to underlying dense dreamy textures. "Every song has its own destiny, as my composition of flow carries and weaves each track into a consciousness smoothed stream of sounds.” explains Salat. Salat who grew up in a family of world art collectors, is a visual artist as well specializing in large-scale impressionistic Zen paintings. As a youth, Salat played woodwinds and folk guitar graduating to classical guitar in college. But, the real turning point came when he began listening to New Age Music as an antidote to long hours spent in the office. Currently John is expanding to tap into new conscious innovations through many mediums of healing; thus soul provoking to awaken peace. John’s goal is rising human tranquil awareness. With these influences, John already has been successfully published as a Zen multi-media artist. John’s meditative medium(s) have appeared in numerous newspapers, magazines, radio programs and television. John knows firsthand how affected we are by aesthetics and the “energy flow” that meshes with nature’s easily flowing system. With this energy flow through his media, he expanded his work literally hands-on into energy medicine disciplines. In this healing work, John Salat’s clients include well-known actors, producers, writers, politicians and holistic health practitioners, both in the U.S. and abroad. As a certified transformational leader, he offers new insights, emotional healing and soul integration through public speaking and facets to multidimensional energy healing work. 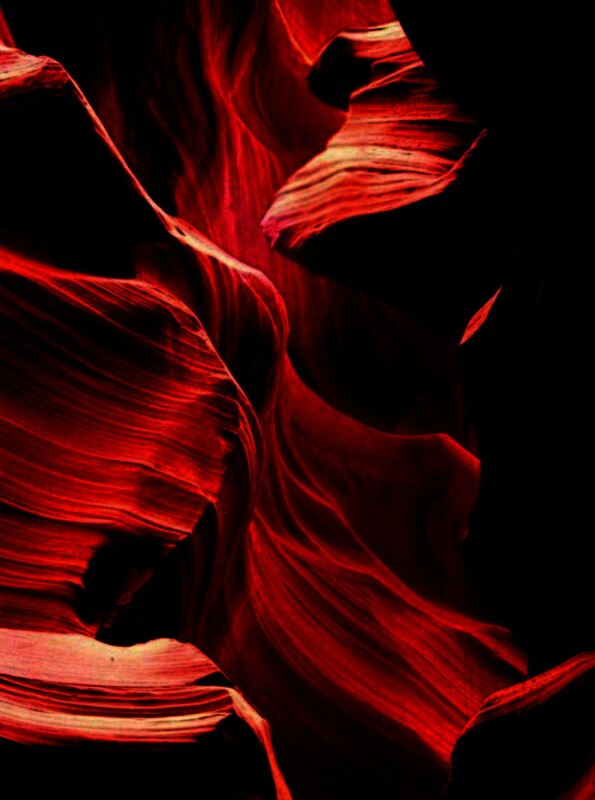 Now a book author, his latest inspirational release “Tao Art of Flow” is publicly available. It is not unusual when participating in John’s activities or being part of his artistic creativity that serendipity occurs. His inspired mediums package his own signature through his meditative music, tranquil paintings, and Zen architecture. Blog or for more visit http://JohnSalat.info . . .. . . .
"The music is so soothing, I played it all night long." "Fond of Short Burst of Sound, he uses such aural punctuation to add topspin to underlying dense, dreamy textures on tracks...Here the music becomes graceful, soothing and therapeutic." "John Salat proceeds to create a stream of consciousness collection of first-rate New Age tunes on this fine first release Echoes of the Heart." "I highly recommend Echoes of the Heart....Check it out." "This album does not need an hyperbole, the music easily stands up for itself as a worth while keyboard music with a myriad of influences and a love for music, interwoven into a solid and descriptive package." "A soothing journey of electrical wonders which gives the mind, body and spirit an audio massage." "Beautiful sound sculptures that take you on a journey to awaken memories of distant times and cultures." "A magical subcontinent where warm tonal winds sweep along colored clouds of orchestration while percussive warmth reflects the earth." "It provokes images and encourages release from our everyday stresses and worries. Each cut has its own beginning and end, yet the sounds blend one to the other for a full 60 minute relaxation." "Echoes of the Heart is excellent for Meditation, massage and relaxation." "This is a very eclectic collection of pieces, inspired by the gentlest expression of the heart...Every piece in Echoes of the Heart attends percussion with care and captures melody with subtle mastery."